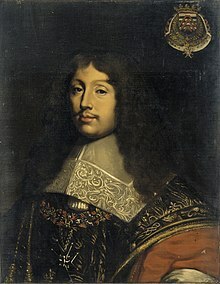 François VI, duc de La Rochefoucauld, le Prince de Marcillac (September 15 1613 – March 17 1680) was a noted French author of maxims and memoirs, as well as an example of the accomplished 17th-century nobleman. Though sincerity and confidence have many points of resemblance, they have yet many points of difference. Sincerity is an openness of heart, which shows us what we are, a love of truth, a dislike to deception, a wish to compensate our faults and to lessen them by the merit of confessing them. Confidence always pleases those who receive it. It is a tribute we pay to their merit, a deposit we commit to their trust, a pledge which gives them a claim upon us, a kind of dependence to which we voluntarily submit. I do not wish from what I have said to depreciate confidence, so necessary to man. We should make it a rule never to have half confidences. They always embarrass those who give them, and dissatisfy those who receive them. They shed an uncertain light on what we want hidden, increase curiosity, entitling the recipients to know more, giving them leave to consider themselves free to talk of what they have guessed. It is far safer and more honest to tell nothing than to be silent when we have begun to tell. Although all the qualities of mind may be united in a great genius, yet there are some which are special and peculiar to him; his views are unlimited; he always acts uniformly and with the same activity; he sees distant objects as if present; he comprehends and grasps the greatest, sees and notices the smallest matters; his thoughts are elevated, broad, just and intelligible. Nothing escapes his observation, and he often finds truth in spite of the obscurity that hides her from others. A lofty mind always thinks nobly, it easily creates vivid, agreeable, and natural fancies, places them in their best light, clothes them with all appropriate adornments, studies others' tastes, and clears away from its own thoughts all that is useless and disagreeable. Satire is at once the most agreeable and most dangerous of mental qualities. It always pleases when it is refined, but we always fear those who use it too much, yet satire should be allowed when unmixed with spite, and when the person satirised can join in the satire. It is unfortunate to have a satirical turn without affecting to be pleased or without loving to jest. Raillery is a kind of mirth which takes possession of the imagination, and shows every object in an absurd light; wit combines more or less softness or harshness. There is a difference between an ardent and a brilliant mind, a fiery spirit travels further and faster, while a brilliant mind is sparkling, attractive, accurate. Though the gifts of the mind are infinite, they can, it seems to me, be thus classified. There are some so beautiful that everyone can see and feel their beauty. There are some lovely, it is true, but which are wearisome. There are some which are lovely, which all the world admire, but without knowing why. There are some so refined and delicate that few are capable even of remarking all their beauties. There are others which, though imperfect, yet are produced with such skill, and sustained and managed with such sense and grace, that they even deserve to be admired. The word taste has different meanings, which it is easy to mistake. There is a difference between the taste which in certain objects has an attraction for us, and the taste that makes us understand and distinguish the qualities we judge by. Some have a species of instinct (the source of which they are ignorant of), and decide all questions that come before them by its aid, and always decide rightly. These follow their taste more than their intelligence, because they do not permit their temper and self-love to prevail over their natural discernment. All they do is in harmony, all is in the same spirit. This harmony makes them decide correctly on matters, and form a correct estimate of their value. But speaking generally there are few who have a taste fixed and independent of that of their friends, they follow example and fashion which generally form the standard of taste. The reason why so few persons are agreeable in conversation is that each thinks more of what he desires to say, than of what the others say, and that we make bad listeners when we want to speak. Yet it is necessary to listen to those who talk, we should give them the time they want, and let them say even senseless things; never contradict or interrupt them; on the contrary, we should enter into their mind and taste, illustrate their meaning, praise anything they say that deserves praise, and let them see we praise more from our choice than from agreement with them. To please others we should talk on subjects they like and that interest them, avoid disputes upon indifferent matters, seldom ask questions, and never let them see that we pretend to be better informed than they are. We should never say anything with an air of authority, nor show any superiority of mind. We should avoid far-fetched expressions, expressions hard or forced, and never let the words be grander than the matter. We are sure to displease when we speak too long and too often of one subject, and when we try to turn the conversation upon subjects that we think more instructive than others, we should enter indifferently upon every subject that is agreeable to others, stopping where they wish, and avoiding all they do not agree with. We should observe the place, the occasion, the temper in which we find the person who listens to us, for if there is much art in speaking to the purpose, there is no less in knowing when to be silent. There is an eloquent silence which serves to approve or to condemn, there is a silence of discretion and of respect. In a word, there is a tone, an air, a manner, which renders everything in conversation agreeable or disagreeable, refined or vulgar. There is an air which belongs to the figure and talents of each individual; we always lose it when we abandon it to assume another. We should try to find out what air is natural to us and never abandon it, but make it as perfect as we can. This is the reason that the majority of children please. It is because they are wrapt up in the air and manner nature has given them, and are ignorant of any other. They are changed and corrupted when they quit infancy, they think they should imitate what they see, and they are not altogether able to imitate it. In this imitation there is always something of falsity and uncertainty. They have nothing settled in their manner and opinions. Instead of being in reality what they want to appear, they seek to appear what they are not. All men want to be different, and to be greater than they are; they seek for an air other than their own, and a mind different from what they possess; they take their style and manner at chance. They make experiments upon themselves without considering that what suits one person will not suit everyone, that there is no universal rule for taste or manners, and that there are no good copies. Few men, nevertheless, can have unison in many matters without being a copy of each other, if each follow his natural turn of mind. But in general a person will not wholly follow it. He loves to imitate. We often imitate the same person without perceiving it, and we neglect our own good qualities for the good qualities of others, which generally do not suit us. But, yet acquired qualities should always have a certain agreement and a certain union with our own natural qualities, which they imperceptibly extend and increase. Thousands of people with good qualities are displeasing; thousands pleasing with far less abilities, and why? Because the first wish to appear to be what they are not, the second are what they appear. Some of the advantages or disadvantages that we have received from nature please in proportion as we know the air, the style, the manner, the sentiments that coincide with our condition and our appearance, and displease in the proportion they are removed from that point. What we term virtues are often but a mass of various actions and diverse interests, which fortune or our own industry manage to arrange; and it is not always from valour or from chastity that men are brave, and women chaste. Le bonheur et le malheur des hommes ne dépend pas moins de leur humeur que de la fortune. Il n’y a point de déguisement qui puisse longtemps cacher l’amour où il est, ni le feindre où il n’est pas. On peut trouver des femmes qui n'ont jamais eu de galanterie; mais il est rare d'en trouver qui n'en aient jamais eu qu'une. Variant translation: With true love it's like with the appearance of ghosts: everyone talks about it but few have seen it. Si nous résistons à nos passions, c'est plus par leur faiblesse que par notre force. If we conquer our passions, it is more from their weakness than from our strength. Il y a des gens qui n'auraient jamais été amoureux s'ils n'avaint jamais entendu parler de l'amour. People would never fall in love if they hadn’t heard love talked about. There are some people who would never have fallen in love if they had not heard there was such a thing. Comme c’est le caractère des grands esprits de faire entendre en peu de paroles beaucoup de choses, les petits esprits au contraire ont le don de beaucoup parler, et de ne rien dire. The stamp of great minds is to suggest much in few words; by contrast, little minds have the gift of talking a great deal and saying nothing. Il est plus difficile de s’empêcher d’être gouverné que de gouverner les autres. Les gens heureux ne se corrigent guère; ils croient toujours avoir raison quand la fortune soutient leur mauvaise conduite. Nul ne mérite d’être loué de bonté, s’il n’a pas la force d’être méchant: toute autre bonté n’est le plus souvent qu’une paresse ou une impuissance de la volonté. La véritable éloquence consiste à dire tout ce qu’il faut, et à ne dire que ce qu’il faut. True eloquence consists in saying all that need be said and no more. L’extrême plaisir que nous prenons à parler de nous-mêmes nous doit faire craindre de n’en donner guere à ceux qui nous écoutent. The extreme pleasure we take in talking about ourselves should make us afraid that we may scarcely be giving any to our listeners. Ce qui nous donne tant d’aigreur contre ceux qui nous font des finesses, c’est qu’ils croient être plus habiles que nous. Il y a une élévation qui ne dépend point de la fortune: c’est un certain air qui nous distingue et qui semble nous destiner aux grandes choses; c’est un prix que nous nous donnons imperceptiblement à nous-mêmes; c’est par cette qualité que nous usurpons les déférences des autres hommes, et c’est elle d’ordinaire qui nous met plus au-dessus d’eux que la naissance, les dignités, et le mérite même. Nous aurions souvent honte de nos plus belles actions, si le monde voyoit tous les motifs qui les produisent. We should often be ashamed of our very best actions if the world only saw the motives which caused them. Variant translation: It is much easier to know men generally, than to know a particular man. Il s'en faut bien que l'innocence ne trouve autant de protection que le crime. Innocence is very far from finding as much protection as crime. Il ne faut pas s’offenser que les autres nous cachent la vérité puisque nous nous la cachons si souvent à nous-mêmes. Maxim 11 from the Manuscrit de Liancourt. La pompe des enterrements regarde plus la vanité des vivants que l'honneur des morts. This page was last edited on 26 February 2018, at 00:22.